We hear the phrase victorious Christian living often but I’m not sure very many people know what it really means, much less how to achieve it. Raising the bar: I once thought the normal Christian life involved much failure and defeat. After all to err is human. And all God expects from us is to do the best we can, because He understands our weakness. But when we die and go to Heaven then everything will be OK. Wrong! It may sound nice, and even be comforting when we consider our future. 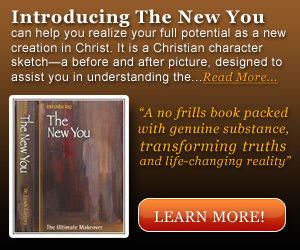 But as one man said, “how does this help me in the ugly here and now?” It doesn’t! Such a life of failure and defeat is not indicative of God’s heavenly kingdom. And it’s certainly not victory. That is why Jesus told us to pray that His kingdom would come here on Earth as it is in Heaven. Once you receive Jesus Christ, God’s kingdom is within you, because the Kingdom of Heaven is the realm of God’s presence. But it is all in the Lord Jesus Christ. He is the victor, He is the conqueror, and He is the triumphant victorious king. Hallelujah! Heaven on Earth, that’s the life and the victory that Christ offers. We can live victorious because of the Victor Jesus Christ who has conquered Satan, death and hell. Jesus is victor over all things. Thus we can be victorious over all things through Christ Jesus our Lord-our indwelling king. WHAT IS VICTORIOUS CHRISTIAN LIVING? And yet we are told in Isaiah 33:23 that “The lame take to prey.” 2 Corinthians 12:10, Matthew 26:41, Philippians 4:13 I can do all things through Christ who strengthens me. Triumphant-in Christ-2 Corinthians 2:14-16, 3:5-6 God always causes us to triumph in Christ. 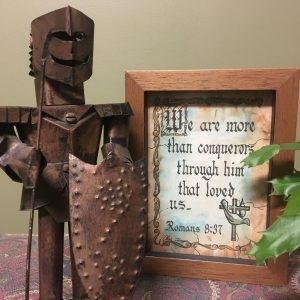 Conqueror -in Christ-Romans 8:37 We are more than conquerors through Christ. Overcomer-in Christ-1 John 5:4-5 This is the victory that overcomes the world, even our faith. Power/Authority– in Christ- Ephesians 2:5-6 You are Seated with Christ in heavenly places. Romans 5:17 You reign in this life by one Christ Jesus. Because of your union with Christ, you are in the place of authority and power. You’re always in the place of strength, never weakness. You are victorious in Christ! In union with Christ, you have Victory over sin, victory over fear & worry, victory over circumstances, victory over adversity, victory over difficult people, and victory over anything else that comes your way. Victory over sin: besetting sins, sinful habits etc. one man had a habit of lying, especially to his wife. I shared with him that it is not about us trying to gain the victory over our sins, but rather relying upon the victorious Christ to live His victorious life through us. Once he realized the futility of his fleshly efforts he gave up. He returned to the cross where he accepted his crucifixion with Christ, so that he could live by the life of another. Christ was now his life. He began to experience victory over sin. There is victory in Jesus! Victory over fear & worry: A man in his mid 40s, paralyzed by fear and worry so bad that he could hardly function. He developed Agoraphobia; he had a fear of crowds. He felt very insecure and inadequate around people. He rarely went anywhere he didn’t have to. He lived with his mother and work a night job at a factory by himself. Yet after I shared with him about the victory that is in Jesus; the Lord set him free, healed him of his emotional wounds, and made him whole. He even attended a retreat we conducted that weekend. It was the first time in many years that he had gone anywhere with a group of strangers by himself. Yet he did great, and his mother was delighted in the change that she saw in his life. There is victory in Jesus! Victory over circumstances: flight on a mission trip to Mexico changed planes in Houston Texas. Gate change without properly notifying the passengers at the previous gate. When we get to the other gate the door to the plane had already been closed. No more allowed to board. I prayed and asked God to open the door. God opens a door that no man can shut! There is victory in Jesus! Victory over adversity: Laid off from church staff position FBA. Peaceful, confident expectant. Time to Buy a house. Within three months we had bought a house! The Lord opened new doors of ministry and we never missed a payment on any of our expenses, even though we lost 95% of our income when I was laid off. There is victory in Jesus! Victory over difficult people: A fellow minister challenged my ministry. He accused me of being a heretic, teaching false doctrine. A meeting was scheduled with a group of pastors to evaluate me. The Lord told me not to even think about it. That I was to take no thought about it. “The battle is the Lord’s!” My accuser got laid off and the whole matter was dropped because no one else agreed with his accusations. There is victory in Jesus! Victory over anything else that comes your way. While on a mission trip in Brazil I was walking along the side of the road in a parking lot when I heard a car approaching. It sound dangerously close so I jumped toward the building just as the driver swerved off the road right where I had just been standing. There is victory in Jesus! Hallelujah, in all things great and small you have the victory in Jesus Christ your Lord. And nothing is too hard for Him! The Lord is a present help in your time of need, enabling you to be instant in season, and out of season. No accidents, no problems, no worries! In all things, at all times, you can be victorious in Christ. Now that’s victorious Christian living! ARE YOU LIVING A VICTORIOUS CHRISTIAN LIFE? You can if you stop trying to live your life in the energy of your flesh-your human strength and abilities. Give up, refuse to try anymore. Surrender your life completely to the Lord Jesus Christ who alone is the Victor. Ask the Holy Spirit to fill you with His presence and power so that Christ may live His life through you. Now you’re living victoriously in Christ! LISTEN to this message to learn about a true Champion.